Investor sentiment weakened on Tuesday after India conducted air strikes on militant camps inside Pakistan, escalating tensions between the two nuclear-armed neighbours. After cracking nearly 499 points, or 1.4 per cent, the 30-share Sensex recouped losses to end 240 points, or 0.7 per cent, lower at 35,974. The 50-share Nifty also fell 44.80 points, or 0.41 per cent, to 10,835.3. The rupee also weakened as much as 36 paise as the US dollar but recovered to end at 71.07 compared to previous day’s close of 70.98. The recovery in the market was led by strong buying from foreign portfolio investors (FPIs). 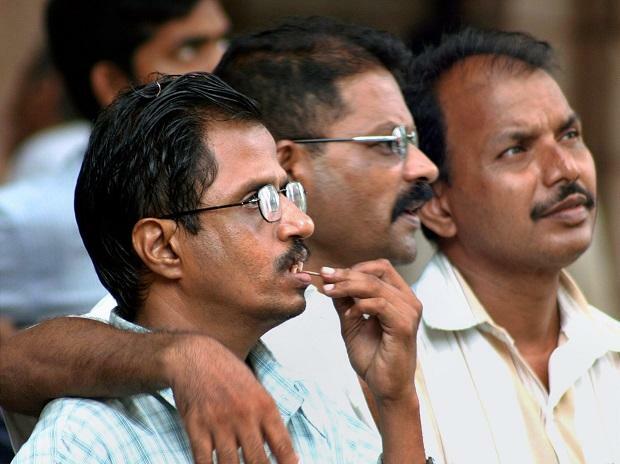 On Tuesday, they bought shares worth Rs 1,674 crore, domestic investors were net-sellers to the tune of Rs 720 crore. “Foreign investors have always lived with simmering Indo-Pak tensions. The latest incident has taken it to a higher level. As usual, investors are in a wait and watch mode. If there are no further escalations, things should go back to normal,” said Andrew Holland, CEO, Avendus Capital Public Markets Alternate Strategies. Overseas investors have been heavy buyers of Indian equities in the past few sessions, pumping in over $2 billion. “FPIs have been big buyers in the past one week despite the escalation of tensions. FPIs are gauging whether these events will escalate further or will they remain contained," said Rajat Rajgarhia CEO - Institutional Equities, Motilal Oswal. The fall in the broader markets was less compared to the benchmarks, with the BSE Midcap index falling 0.3 per cent and the BSE Smallcap index declining 0.50 per cent. Nine out of the 31 Sensex components advanced. The top losers were HCL Technologies, HDFC and ICICI Bank, which fell over two per cent each. Tata Motors gained 4.1 per cent, most among Sensex components. Coal India and TCS rose over two per cent each, helping the markets contain the losses. As of now, market players are not expecting an impact on the economic event. Ghosh pointed out that the Kargil War and Uri incident too had not had any material impact on the markets. Pakistan’s financial markets too were hit with the KSE 100 Index, Karachi Stock Exchange’s benchmark index, declining two per cent, or 785 points, to end at 37,822.